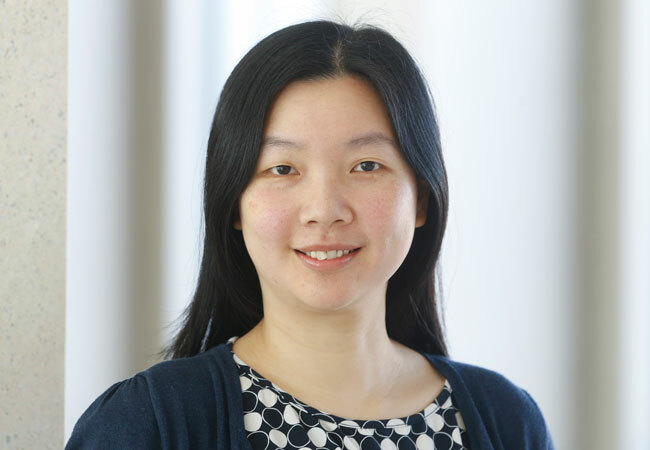 Goethe University Frankfurt can boast another EU-funded research project: With the appointment of Yee Lee Shing as Chair of Developmental Psychology her PIVOTAL research project has accompanied her to Frankfurt. Professor Shing’s research work investigates how the brain makes predictions. Imagine coming into the office in the morning. Within a split second you will be able to tell whether everything is in its usual place – the furniture, the computer, your files – or not, as the case may be, or whether something has been left on your desk that does not belong there, for example a box of chocolates. Behind this ability to assess our environment is the “predictive brain”, i.e. the interaction of brain processes that lead to predictions. On what principles these predictions are based and how the interaction of the processes involved differ across the lifespan is the subject of research work being conducted by Professor Yee Lee Shing, who has held the Chair of Developmental Psychology at Goethe University Frankfurt since January. According to Professor Shing, the brain is essentially a “prediction machine” that is constantly busy comparing new input from the environment with predictions generated by internal models of the brain. Only in this way is the human brain able to adapt to ever new situations and grasp new environments. To date, however, no researcher has examined the nature of the underlying internal models themselves or how new experiences influence these models. What is also so far unknown is how such a supposedly universal principle manifests itself in different brains – for example young or old ones. The long-term memory that may underlie the brain’s internal models is potentially the episodic and the semantic memory, personal experiences on the one hand and learned knowledge of the world on the other. Whilst children are better at remembering episodic contexts – think how unbeatable they are when playing “Memory” – older people can rely more on their semantic memory. Shing wants to investigate empirically the interaction of different types of memory and new experiences. Using the magnetic resonance facilities available at the Brain Imaging Center of Goethe University Frankfurt, she wants to learn more about which cognitive and neural interactions take place where in the brain, first of all with the help of healthy participants of different ages. In the long term, her research work could help to cast light on clinical conditions with aberrant prediction processing, such as autism and schizophrenia. The European Research Council (ERC) will support the project for five years with € 1.5 million. This will fund two doctoral and two postdoctoral researcher positions. Born in 1980 in Kuala Lumpur (Malaysia), Yee Lee Shing moved to the USA at the age of 19 to study psychology. From 2004 to 2015 she worked at the Max Planck Institute for Human Development in Berlin. She also held a Humboldt Fellowship there at Humboldt University. “I found the broad perspective on the development of the human brain across the lifespan very interesting. In addition, the new International Max Planck Research School on the Life Course (LIFE) offered me an interdisciplinary and trans-Atlantic research context,” she says, explaining her decision at that time to come to Germany. Shing’s doctoral supervisors were Professor Ulman Lindenberger and Professor Shu-Chen Li. Shing was a lecturer at the University of Stirling in Scotland from 2015 onwards. Professor Shing was still working in Stirling when she submitted her project proposal. Her decision to return to Germany and accept the appointment in Frankfurt is also partly due to Brexit: “My husband and my two children are German. We felt that our future in Great Britain was uncertain. After so many years in Europe I didn’t want to live outside the EU,” she says. Now she is looking forward to a productive working environment at the Institute of Psychology at Goethe University Frankfurt.